A REMARKABLE JOURNEY THROUGH THE LAND OF FJORDS STARTING IN THE VIKING CAPITAL OF OSLO BEFORE HEADING INTO THE FJORDS OF NORWAY. EXPERIENCE PICTURESQUE VILLAGES, MAGNIFICENT WATERFALLS, BREAHTAKING MOUNTAIN PEAKS AND GLACIERS, AND HIGHLIGHTS SUCH AS THE GEIRANGER FJORD, WHICH IS INCLUDED ON UNESCO’S WORLD HERITAGE LIST. THIS TOUR IS BOUND TO LEAVE YOU SPEECHLESS! Arrival to Oslo Airport, meet & greet byour English-speaking representative, for Regular Arrival Transfer Service to the hotel* for check-in (Please see notes for this service). Please consult the welcome letter, which you will receive on check-in to your hotel, and kindly note where and when to meet your tour leader. The rest of the day is at leisure. Overnight in Oslo. 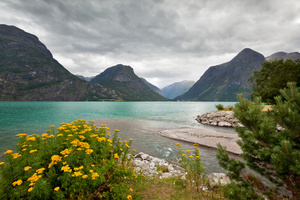 The departures of 30th May, 13th, 20th & 27th June will not be accommodated in rooms with fjord view. Instead rooms with mountain view are confirmed. The departures of 30th May, 27th June, 11th & 18th July, 08th & 15th August and 5th September will not be accommodated in rooms with fjord view. Instead rooms with mountain view are confirmed. 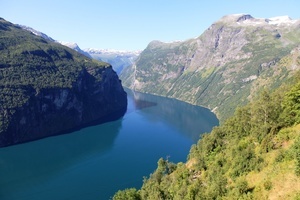 We leave Loen and continue our journey through the wonderful Norwegian mountains to Hellesylt to embark the ferry, crossing the dramatic and ever so impressive, UNESCO’s World Heritage listed, Geiranger Fjord, situated amongst lush mountains and wild waterfalls. Arrival in Geiranger and check-in. Before dinner, a special tour of the Veteran car collection of The Mjelva family is offered. A number of these beautiful cars were used to show tourists around the Geiranger area in the 1920’s and 1930’s and they are still in excellent condition. Dinner at the hotel is included. Breakfast at the hotel. This morning we travel north to explore two of the most dramatic and visited areas of Norway; The Eagle’s road and Trollstigen or Troll’s path. The steepest section of Road 63 between Geiranger and Eidsdal is called Ørnevegen, or "The Eagle Road”, as driving along its eleven hairpin turns at 620 meters (2,030 ft) above sea level feels a little like being airborne. 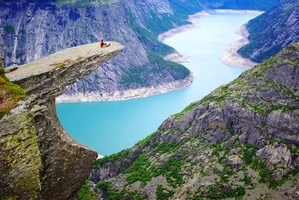 At the uppermost bend is the most spectacular viewpoint of the road, Ørnesvingen, offering breath-taking views over the UNESCO-listed Geirangerfjord. Continue to to Linge crossing the Storfjord from Eisdal and from here to the Troll’s path. Breakfast at the hotel. Early morning departure by coach to the capital Oslo. First visit to the famous point of Dalsnibba, an observation point located 1.476 meters above sea level, with a spectacular view of the famous Geiranger Fjord, UNESCO World Heritage. (The visit to Dalsnibba is subject to climate permission - cannot be guaranteed). Breakfast at the hotel. A Borealis Destination Management English-speaking representative will meet you for the Regular Transfer Service to Oslo Airport*(Please see notes below for this service). We chose the particular week of June 23, 2018 so we could spend 2 nights in Oslo as advertised by Nordic Saga Tours, however, that was the not offered by Borealis Destination Management so we overnighted in Fagernes. I did not think the Scandic hotels on this trip were as nice as the Radisson Blu hotels we stayed in on our 2016 Baltic trip with Nordic Saga Tours. That being said, the tour overall was wonderful - thank you! A special commendation to our guide, Juan Dominguez. He was knowledgeable, interesting, friendly, accommodating and had a great passion for the area he was representing. It was an incredible experience and everything was first class. Thank you! Porter service at the hotels (excluding day 1 and 8). Luggage allowance is 1 suitcase & 1 piece of hand luggage per person. After arriving at Briksdal Glacier, we will make a visit to the foot of the glacier, travelling by small motorized “Troll cars” and walking through Norwegian nature to the very snout of the glacier. Here we experience the glacier’s breathtaking blue ice. After the visit, there will be free time for lunch at your own discretion. Please note! Regular Arrival Transfer Services included in the program are only available for transfers from the airport in Oslo & to the airport in Oslo and only on the published official date of beginning & end of the tour. The transfers are escorted by an English-speaking representative from Borealis Destination Management and are shared with other fellow passengers; therefore, minor waiting time at the airport may occur. This transfer service is not valid for passengers with pre/post nights or passengers who require private transfers – for a supplement, private transfers can be reserved for these passengers. For city tours with local guides the group will be divided by languages, with the respective monoligual service. Please note! 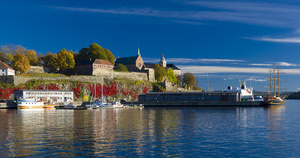 Regular Departure Transfer Services included in the program are only available for transfer to Oslo Airport and only on the official end date of tour. The transfers are escorted by an English-speaking representative from Borealis Destination Management and are shared with other fellow passengers; therefore, minor waiting time at the airport may occur.